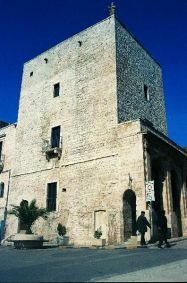 Cisternino joins other Puglia towns previously recognized by the federation, including Alberona, Bovino, Pietramontecorvino, Roseto Valfortore and Vico del Gargano in the Province of Foggia; Locorotondo in the Province of Bari; and Otranto and Specchia in the Province of Lecce. There are so many small towns throughout Puglia that are home to interesting museums, churches and other local attractions (especially food). Some of the best times we’ve had exploring in Puglia were spent driving from place to place and stopping wherever we saw something interesting. We applaud this program for drawing attention to these special places and encouraging their sustainability efforts. This entry was posted on Wednesday, November 19th, 2014 at 5:46 pm and is filed under Uncategorized. You can follow any responses to this entry through the RSS 2.0 feed. You can leave a response, or trackback from your own site.